You might be looking at the 18 feet of Concorde books on your bookshelf and wonder what could there possibly be that’s new under the sun? Been there, done that. Not so fast there . . . even if all the birdwatchers we know and love are in your Rolodex or you have some other inside track to unpublished photos, chances are there are images in this book you haven’t seen yet. 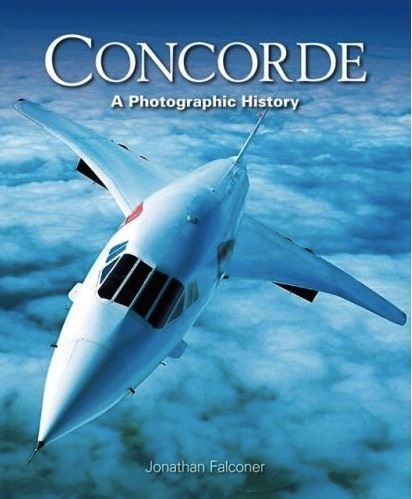 Author Falconer, on the other hand, certainly does have an inside track: he worked with Concorde Chief Test Pilot Brian Trubshaw on his biography (1998) and on his book Concorde, The Inside Story (2000). 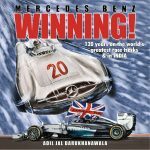 Add to that a lifelong interest in Concorde as well as some 20 other aviation books to his name, plus the fact that he’s a professional book editor (for this publisher, Haynes), and prepare to raise your expectations. This book is all about the photos. Photos from private collections, photos from manufacturer and airline archives, photos the author himself took. In other words, photos you cannot possibly have all seen already. To be sure, some are the unusual standbys; good shots but—because they’re good—published before and therefore already known to the Concorde connoisseur (for example, the entire fleet in mothballs at Heathrow). Some others are similar to, but not the same as, the well-known iconic ones such as the formation flights with the Red Arrows acrobatic team or Concorde on its barge in New York City. 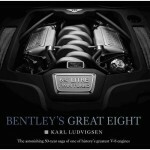 But many in this collection of over 200 photos by professionals and amateurs are here published for the first time. Divided into 17 chapters the book covers the entire life span of the aircraft from design to eventual retirement. Except for a brief Introduction that summarizes key points and a few remarks introducing each individual chapter, there is no other text than extensive photo captions. The photos identify planes by serial or registration number and state the photographer. All the photos are in color, many are large, a very few are unsharp. If it matters, most images are of British Airways planes. Interestingly, even though most of the aircraft’s “incidents” involved wheels/hubs/tires there’s not a single photo of such a mishap and only one that shows rudder failure of which Concorde suffered several. Proving the point that a photo is worth a thousand words, there is one here of a flight engineer’s hat placed into a gap between his console and the bulkhead that routinely opened because Concorde grew in length by almost a foot during flight. On many supersonic retirement flights these hats were left in place when the plane shrank again, wedged in place for eternity. If you ever notice that in a museum, now you know why! Appended are the histories of each of the 20 aircraft listing first/last flight, no. of flights/hours, no. of supersonic flights, and the ominous entry “fate” which gives their current whereabouts or status. Proving yet again that no one book does everything, this one provides another list recording all final flights by serial no., date, registration, crew, route, departure/arrival time, max. speed/height, and purpose of flight. The book also includes a Bibliography, list of Concorde-related websites and museum links, and an Index. So, make room for another inch of book!